Scientists have found microbes frozen deep in the Antarctic ice sheets, in conditions very similar to the red planet's surface. Could life exist on Mars, in suspended animation? In 2001, a frozen ocean was discovered beneath the surface of Mars. Russian scientists and NASA have studied ice core samples from the Antarctic - the closest place on Earth to conditions on Mars. Microbes frozen in the Antarctic permafrost for millions of years came back to life when warmed in a lab. Scientists speculate that Mars' molten core may be hot enough to melt the ice and produce liquid lakes. Antarctica – the coldest place on planet Earth. Temperatures here have reached -89 degrees centigrade. 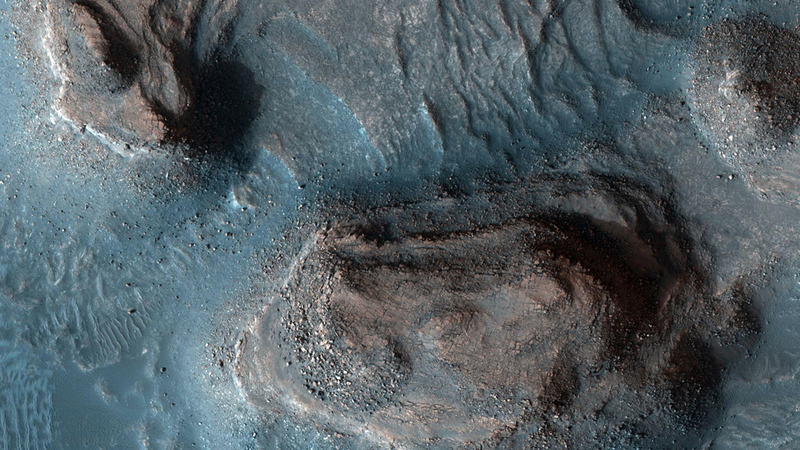 Very little life can thrive... and it's about the closest you can get to conditions on Mars.